Register or Login with ShopAtHome. Click “Buy It Now” to open the Drugstore.com page. 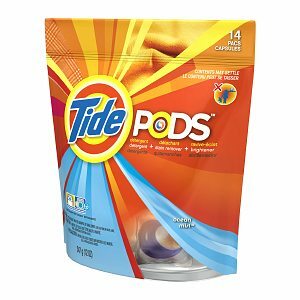 Add the Tide Pods to your bag and checkout. Enjoy your Tide Pods at this great price. Limit 1 Daily Deal cash back reward per household/shipping address. ShopAtHome rebate checks are mailed monthly, within 90 days of item purchase, as long as you haven’t returned the product to the merchant, and you have a minimum balance of $20 in your ShopAtHome account. Enjoy FREE shipping with your ShopRunner membership. What is ShopRunner? ShopRunner members can get FREE 2-day shipping at a wide variety of online retailers, including David’s Cookies, Toys R Us, Babies R Us, Drugstore.com and many more! Membership in ShopRunner is $79 a year. You can even sign up for a FREE 30 day trial membership to see if the plan is right for you. Drugstore.com has Seventh Generation Dish Soap FREE today (7/31) only! Get your FREE Seventh Generation Dish Soap after your cash back reward, and enjoy FREE shipping from ShopRunner (membership or free trial required)! Get FREE 2-day shipping with no minimum purchase via ShopRunner (or FREE standard shipping with a $25 Drugstore.com purchase). Click “Buy It Now” to open the Drugstore.com shopping window. 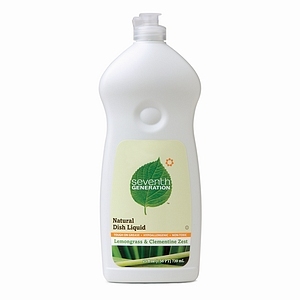 Add the Seventh Generation Dish Soap to your cart and checkout. Your total should be as low as $3.69 + tax with FREE standard shipping on orders over $25 or with no order minimum with a ShopRunner membership (get a FREE 30 day trial). Limit 1 per household/shipping address. ShopAtHome rebate checks are mailed monthly, within 90 days of item purchase, as long as you haven’t returned the product to the merchant, and you have a minimum balance of $20 in your ShopAtHome account. ShopRunner members can get FREE 2-day shipping at a wide variety of online retailers, including David’s Cookies, Toys R Us, Babies R Us, Drugstore.com and many more! Membership in ShopRunner is $79 a year. You can even sign up for a FREE 30 day trial membership to see if the plan is right for you. Drugstore.com is running a Penny Sale, and you can choose up to five different items at this price! Shipping is a flat $5.99, so you can get all five items you select shipped to your door for $6.04! You must shop through Ebates to cash in on this deal, but the good news is this will get you an additional 6% cashback on your purchase. Select five items to purchase and checkout. Shipping will be a flat $5.99 for all five items. Wasn’t that easy? These would make some wonderful, inexpensive stocking stuffers. It’s definitely not too early to start your holiday shopping, especially with prices like this!